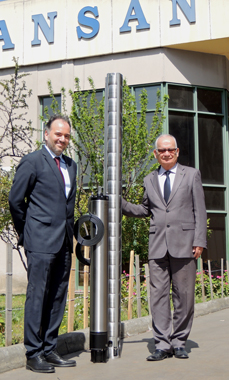 One of the leading industrial establishments in the world, VANSAN A.Ş., donated a Submersible Pump to the Aegean Forest Foundation to be used in their olive grove with an area of 900 decares located in the Menderes Oglananası. 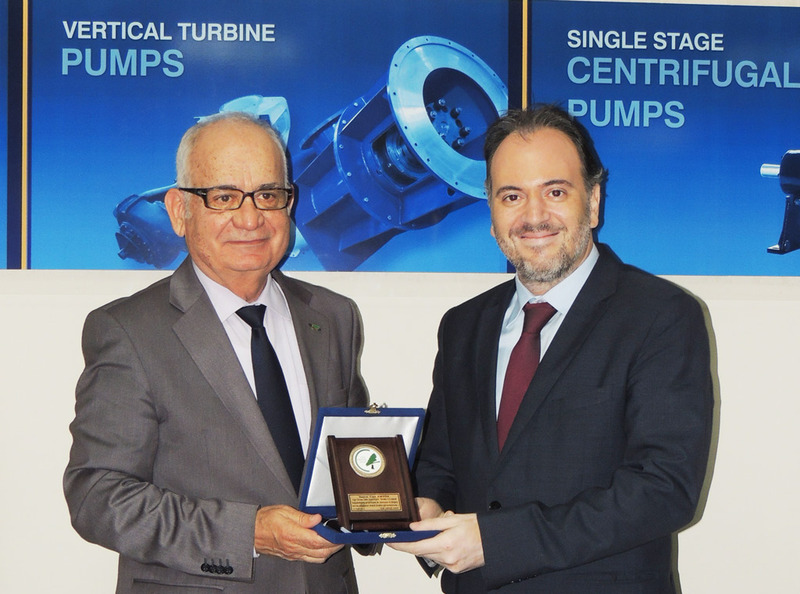 Vansan General Manager Can Ertöz hosted Aegean Forest Foundation General Manager Metin Gençol at the plant located in Çigli Organized Industrial Zone to realize the project that was prepared for the 22 March World Water Day. Following the pleasurable conversation about the preciousness of water for the nature and the afforestation’s vital benefits to the humanity, the delivery of the Submersible Pump, which was donated to be used in the 900 decare olive grove located in Menderes Oglananası, was realized. Aegean Forest Foundation General Manager Metin Gençol thanked Vansan General Manager Can Ertöz and presented him a plaque. Aegean Forest Foundation General Manager Metin Gençol pointed out to the importance of water and said that like all living things, trees also need water. Gençol said: “Our olive grove consists of 30 thousand trees. Thanks to good agricultural practices the harvest in 2012 turned out to be 300 tons in our olive grove that was established in Menderes – Oğlananası in 2003. We use our water economically by means of the drip irrigation system that we use in our olive grove not leading to any water to get wasted. We make new forests using the income that we obtain from our olive grove, which we meticulously care for. We thank Vansan for donating us a submersible pump.” The Aegean Forest Foundation will continue to help the nature to breathe by planting new saplings using the income obtained from the olive grove, which sets an example for the region.